Walsh King is committed to the ongoing skill development for all members of our firm. We devote significant resources to continuing education. 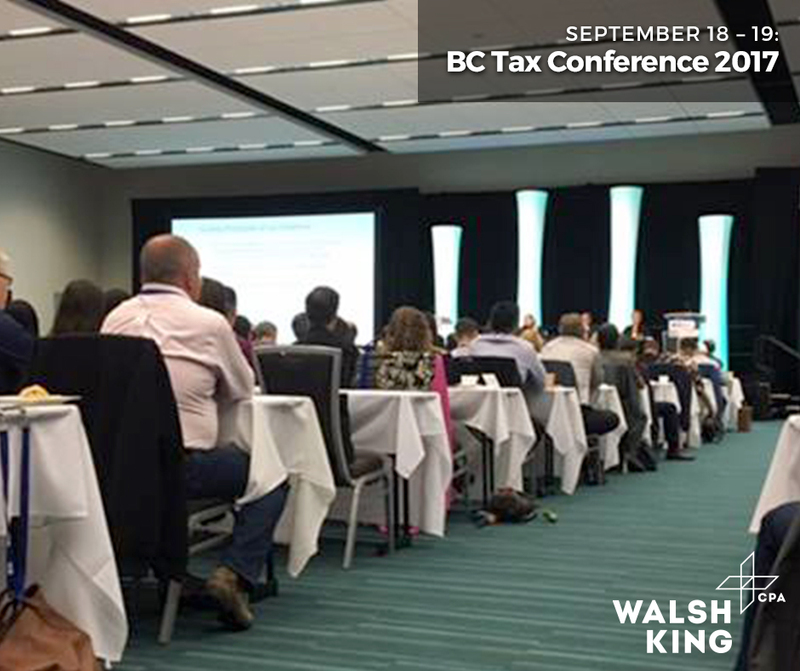 For example, on September 18 and 19 five members of our tax team attended the 2017 British Columbia Tax Conference presented by the Canadian Tax Foundation. This annual two-day conference includes presentations by leading tax accountants and lawyers. Our partners, Ron and Kevin Walsh, have each previously presented at this Conference. In addition to the high-quality presentations, the conference provides our tax professionals valuable time to network and share ideas, concerns and strategies with other tax professionals from BC and across the country. As expected, the Federal government’s July 18th tax consultation paper and draft legislation were top of mind. The general consensus was that the draft legislation and consultation paper, if implemented, would fundamentally change how Canadian private corporations are taxed and add significant complexity to the tax filing requirements of Canadian business owners. The Conference also included interesting presentations on current court cases, safe income, valuations, stock options, planning with trusts and estates and the Lifetime Capital Gains Exemption.